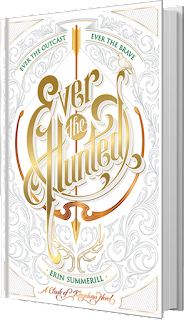 The first time I saw Ever The Hunted I fell in love with it already. 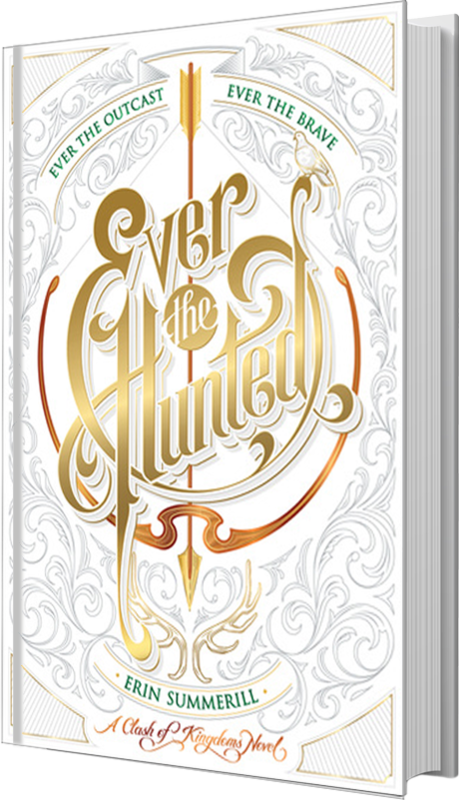 The cover was stunning and the combination of white and gold is perfect. As I started reading, I already knew I won't be able to put the book down easily. As a reader one of the things I love reading is about a female character who can defend herself from her enemies and this book has that character. Britta Flannery, smart hunter, strong and beautiful. She became the king's bounty hunter when she was arrested by the guards for poaching on the king's land, she had reasons why she did that but it wasn't up for discussion. And since she's known as one of the great hunters trained by her father Saul, she was hired to capture her best friend Cohen Mackay in exchange of her freedom. Cohen was accused of killing Saul, and he's hiding since that incident happened. His dagger was found together with her father's cloak. Britta's mission began when she had no other choice but to accept Lord Jamis' offer. "Trust is a delicate thing, so easily broken and not so effortlessly repaired." Another thing that I loved about this book is not just the medieval set up but also the magic and other secrets that this book can offer. I think it was amazing at least it's not just a normal castle soldiers. The twists of the story is something worth reading for! I can't avoid the curiosity on some parts of the book so I had to read it again. THE ENDING THOUGH! that's mind boggling! Anyway, I had a really great time reading this book. It was one of my best read in 2016! and with that, I can't wait for the next book .... I don't mind waiting *tries to be patient*. This book is a MUST READ! "Don't reflect on the negative. Think about all the positives in your life."